Begun in earnest in the 1830s and named for the emerging system of steam railroads in the United States, the Underground Railroad moved hundreds of slaves northward each year through a network of safe houses organized by the efforts of blacks and whites who abhorred slavery. It Happened on the Underground Railroad recounts the stunning tales of rescue and reveals the stories of the people who aided slaves on their flight to freedom. From a riverboat worker who dressed as a woman to the man who mailed himself north, It Happened on the Underground Railroad, offers a gripping look at the heroic individuals who became part of this famous road to freedom. 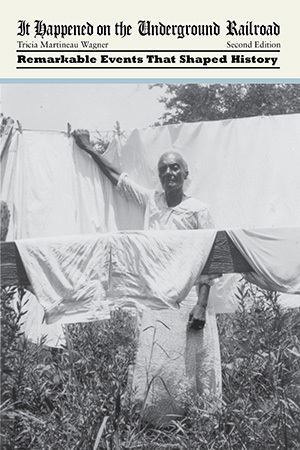 Historically there has been an overemphasis on the participation of white abolitionists in the UGRR, and an under-representation of involvement by African Americans – this book sets the record straight!